Meeting for everyone in Greater Manchester involved in campaigning against fracking for shale gas, coal bed methane extraction and underground coal gasification. Frack Free Greater Manchester is a loose association of individuals involved in different interest groups: anti-fracking activists, Barton Moss Protectors, Breathe Clean Air Group, Friends of the Earth, Greens, Climate Change activists, Trade unionists, etc. It is not a ‘controlling organisation’ but acts as a facilitating ‘umbrella’ supporting local groups. 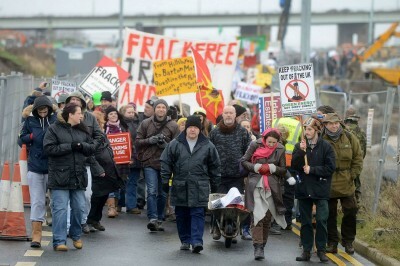 We would like to meet fracktivists that live across the whole of Greater Manchester! Please do share ideas as to what you’d like to see on the agenda on the Facebook Event.